Well, as my old love, WHFB has been left to die, I turn my head back to WH40K. It seems like Tau are bound for september. Tau in September should be about right. There are a few more AoS releases coming, but I don't think they will stretch into October. 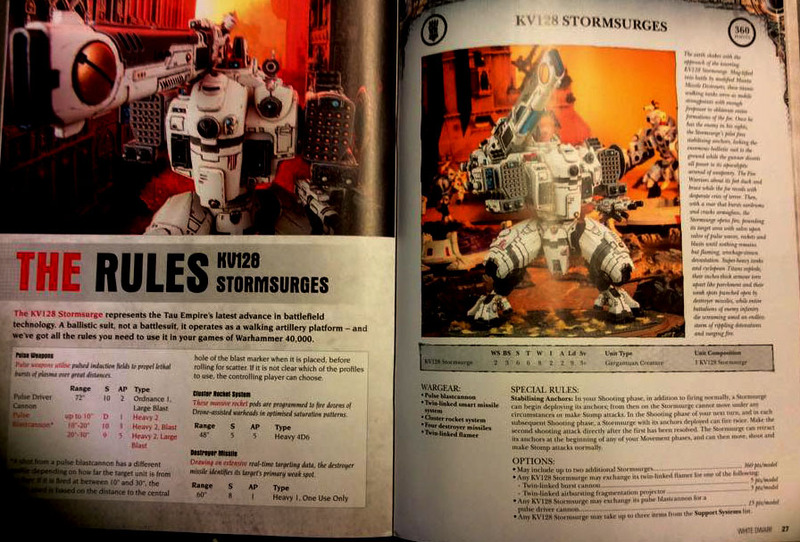 This lining up again with earlier word of Tau Products in the September timeframe and what we have been hearing over the last 24 hours from retailers who are reporting the impending replacement of the XV8 Battlesuit Commander kit. They will have a new Fire Warrior box. Two types of units can be made. Looks like a Tau Aegis Defense line with circular weapon platforms. Don't know about the rules, so don't ask. The LoW rumours are pretty much on the spot, as usual. That's it for now. I'll try to keep the rumours organized. Please, feel free to point at any rumours you found and I'll add them here. Last edited by Shadeseraph; 29-09-2015 at 15:48.